Thank you for choosing My IM Place Syndicator. Welcome to the training area. We’ll be updating this page, so make sure you stay on our mailing list and get all of the strategies. button in the top menu, which takes you directly to the "Add New" page. As you know you can submit one video per day (this way we avoid spamming the Syndicator and we keep its' quality, which is very important to us), but you can schedule your videos if you like. 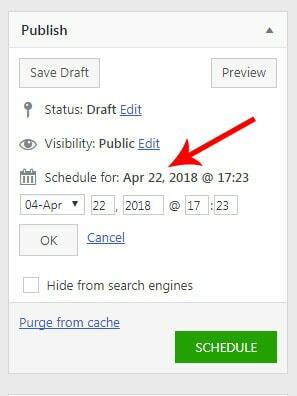 To see the Schedule section just click the Edit link as shown on the image below and choose your desired date. Then click OK and the green Schedule button. I can see a lot of Syndicator submissions that are not created along with the training tips and can only hurt your rankings. 1. During your initial submission DO NOT post anything but the video embed code, video link and sometimes your YT channel link or your website (use naked URL as the anchor text to avoid over-optimization). Adding anything more can just trigger the duplicate content alert and you're f*cked. Using more kws may create just too long titles for web 2.0 properties and your video may not be syndicated. 5. The Syndicator is a membership site built on some membership components. DO NOT tick some "Protect your content" etc. 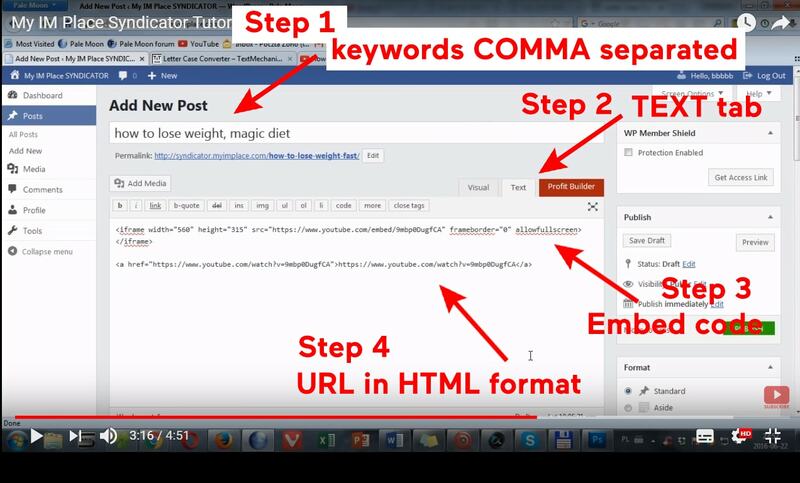 elements that have not been mentioned in the training, because your content will not be visible to anybody but other Syndicator users, who obviously are not your target. WARNING: If you do any of the DON'TS then your money back guarantee will be gone. Gregory Ortiz is showing how he ranks videos on YouTube using My IM Place Syndicator (as the 1st service mentioned). If you rank local clients you can embed also maps. On the Konker I get a lot of orders, so it works. The Syndicator doesn't embed the map on every blog, but if you put a link to a map then it will be posted on web 2.0 blogs, which is this case is enough. As a boost you can use my other tool - the Embedator, which at the moment is in Beta stage, so you can register and use it for free until we launch it. It works pretty much the same, but syndicates the videos to different places. I was asked: "Thanks! I signed up and I will start playing with it today. This seems to be great not just for videos but can be used to boost pretty much anything correct?" And my answer was: "Exactly. One thing to remember: the tool recognizes the video and based on that it creates the tier links, so for the initial submission I suggest to use the video to create the tiers. 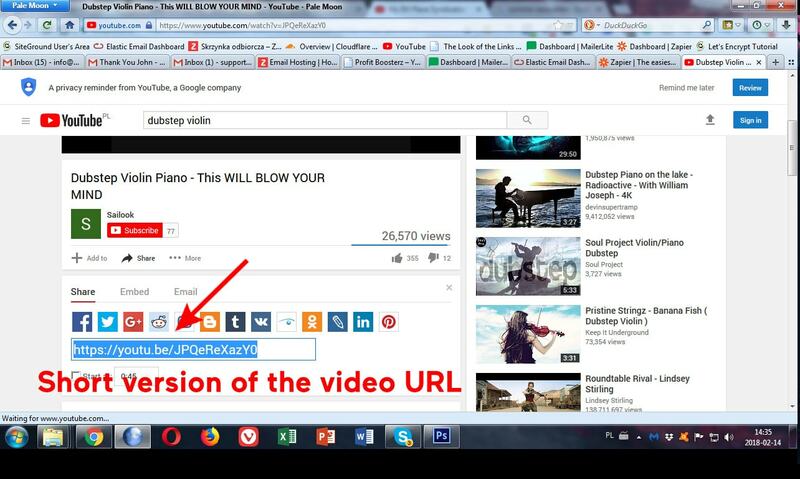 Below the video link you can add any link you want and for example, if you rank local stuff, you can add a map and its' link below the video link. The map embed will be transferred to the Blogger blogs and this way you have additional variety and relevancy. Also it can be just treated as a self-boosting PBN - again: first you submit the video to build the relevant tiers, and then after the 6-7 hours you just edit your original blog post to the full article with images and all the fancy stuff, and this way you have a PBN blog post from a website with real engaged users, boosted by all the created links. If you don't have a video you can use some authority video, so it builds relevant, authority tier backlinks that boost your PBN post. The Syndicator is living website, which has much more value than just another fake PBN site, because it has real, engaged users like you, and it boosts itself. Just play with it and if you understand SEO you will know how to take the most out of it. Normally a single PBN post costs minimum $10, and its' without any other social shares nor additional links. The Syndicator gives an ability to have one PBN post for whopping 67 cents. Now we'll take care of more competitive keywords. Let's say everybody optimize their video the best possible way. Then everybody shares their video or submit it to the Syndicator. Who's gonna rank higher? Long story short: the one who does the most extra steps. There are many different YT ranking factors, but we'll here focus on off-page SEO, which means backlinks, shares and embeds. I will lay out the strategy that the Syndicator has been created for as short as possible because there are whole big courses about SEO and YouTube SEO, and this is not a place for this. The more you do the higher you rank. The social signals and web 2.0 embeds along with PBNs are essential when it comes to YouTube SEO and the Syndicator is the best way to start. Ten years ago you could hit your video directly with hundreds of thousands of links. You could also make your anchor text ratio totally over-optimized, but obviously, Google got the idea and started slapping anything that looked like SEOed. This is where tier linking comes in. You can hit high-authority properties, like web 2.0s, with thousands of links and they transfer the link juice to your video or/and website you rank without any damage because Google cannot punish you for the situation when somebody embeds your video on his blog and hit it with thousands of links. Additionally, high-authority properties get thousands of backlinks anyway, so the links you send to your web 2.0 embeds are just a drop in the sea. (more in the file listed below). Like I wrote; the more you do the more power you get, so before I go further I suggest to create a few different web 2.0s anyway (e.g Weebly, jimdo.com etc. - for more just type in Google "web 2.0 list"). Also, I suggest having some PBNs (it's another long story, so if you don't know what PBN is, just Google it). The more different IPs aka sources of links the better so hit your web 2.0 posts with as many different links as possible. There many different tools and services you can use for this. I described which links you can point directly to your video and which should be used for the tiers. If you don't know what you just read, I suggest reading a lot about SEO in general, because it's one of the most confusing branches of online marketing and I would need to write a book about it here, and probably I wouldn't mention everything. 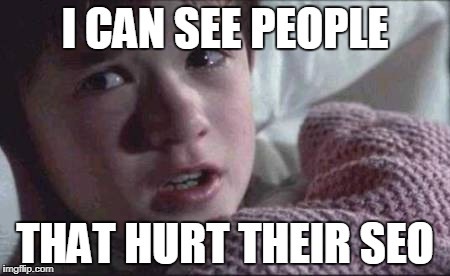 This is why there's so many courses and SEO strategies on the market. I just laid out the most straightforward concept and strategy, so you could get the idea if you know SEO at least a bit. The Syndicator has been built for SEOs, and my experience shows that only those who understand search engines and this environment, appreciate it the most. The rest of the people are mostly "magic button seekers", and despite the fact the Syndicator may push your video to the top with just a few clicks, it not always happens. It's been built to be a part of SEO strategies. But, if you want the Syndicator to be your magic button, then wisely choose your keywords. This is what I do. Most people target the same keywords, so it needs a lot more work to rank. When you target hidden keywords, you have less to zero competition, and you just need really not much to rank. Often just good optimization and the Syndicator submission are enough to rank and appear at the top. There are many hidden, low-competition keywords out there that can bring you a lot of money, but the keyword research is the whole new topic. Good keyword research requires a bit of experience, but the Serpstat tool is kind of out of the box hidden keywords finder.